The Colvic Watson 28 is still today a very popular motor sailer, with powerful performance under both power and sail. Well built and robust, she provides good accommodation and storage. This one looks a fine example with only 2 owners from new. She looks in a beautiful condition and needs to be seen. Her nicely proportioned wheelhouse offers great light and visibility and her layout could also make her a great liveaboard. Beautifully refitted throughout in 2018 including new upholstery and carpeting and much more. We think she's well worth a viewing. 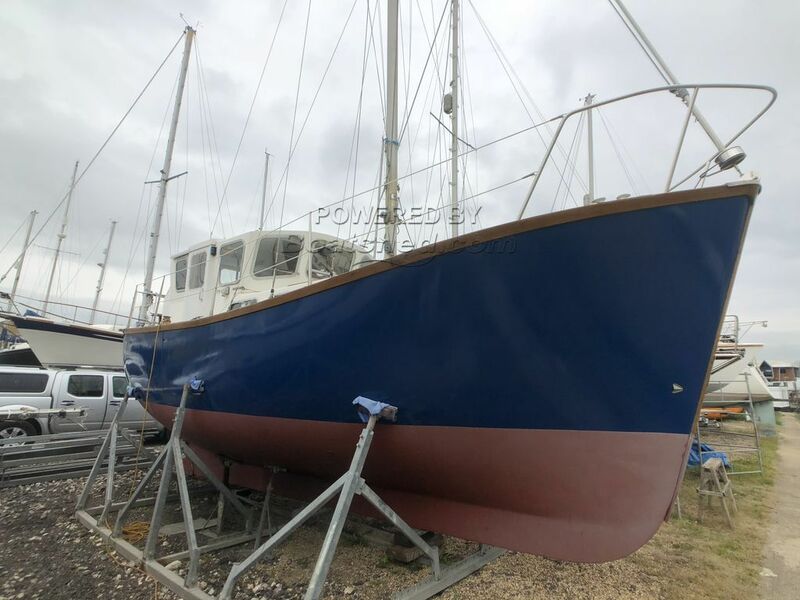 This Colvic Watson 28 Aft Cabin has been personally photographed and viewed by Jules Archer of Boatshed Brighton. Click here for contact details.